Winel offers a wide range of standard hatches up to 800x800 mm. 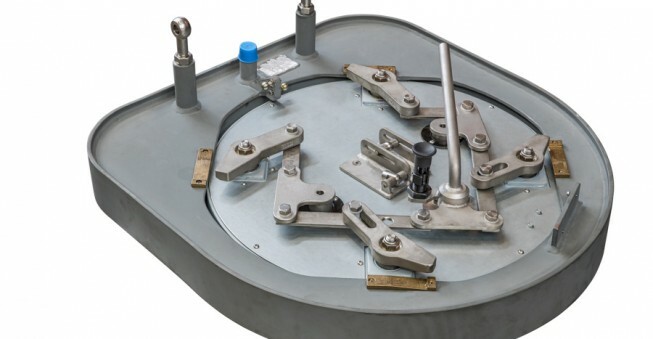 All hatches can be supplied by a quick acting closing mechanism, which is reliable and maintenance free. Operation can be done by lever, hand wheel or T-Key. Take a look at our hatch delivery program below. Each hatch is described further in its specification sheet. Any special execution needed as for navy requirements? Our sales department will be happy to answer all your questions! 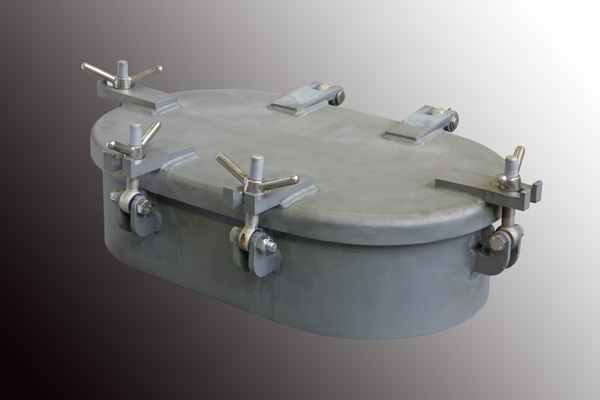 Watertight hatches are required in watertight compartments below bulkhead deck or in a flush execution installed in the main deck. 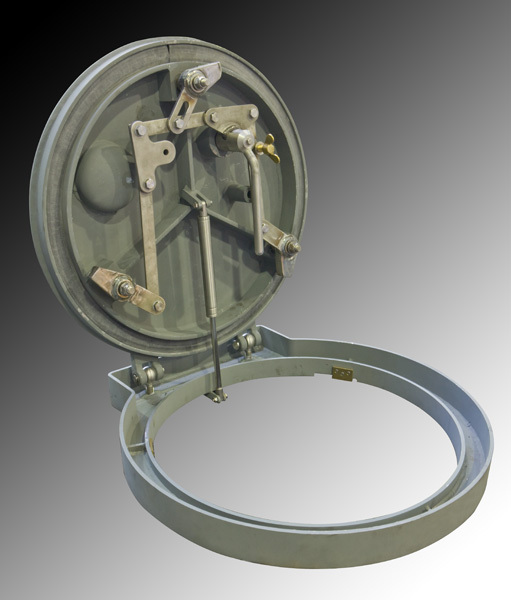 The hatches are calculated and have always been tested for the required water pressure. Individual certificates will be issued. 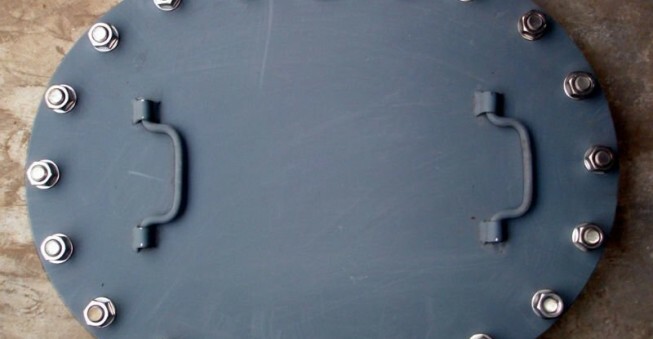 The cover is 8 mm steel, 45×20 mm EPDM shore 45 seal. 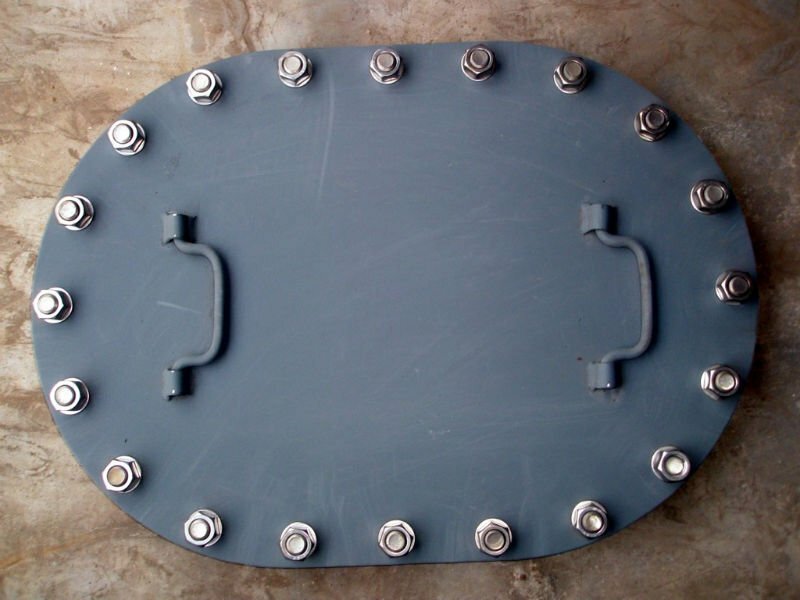 The coaming is of 8 mm steel plate material, round corners (r=100), the gasket side is rounded (r=2) to prevent damaging of the seal. 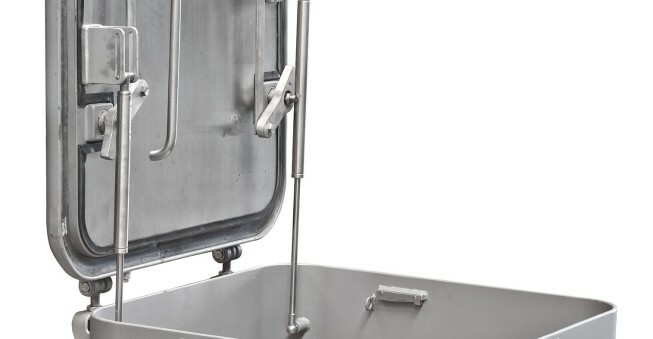 Stainless steel hatch toppers are placed on the position of the closing points. 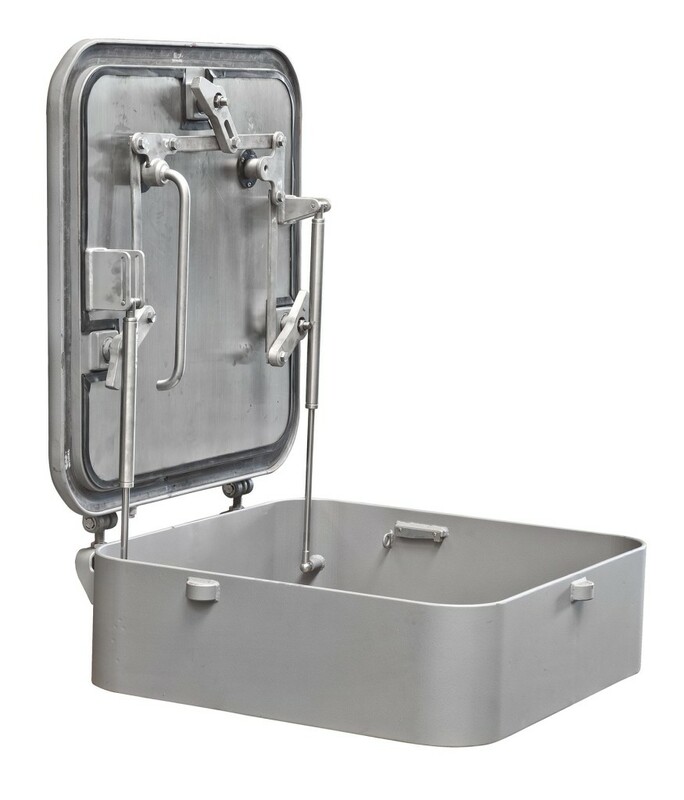 The operation is a central closed Musketeer system with stainless steel closing mechanism. This type is a standardized weathertight hatch. 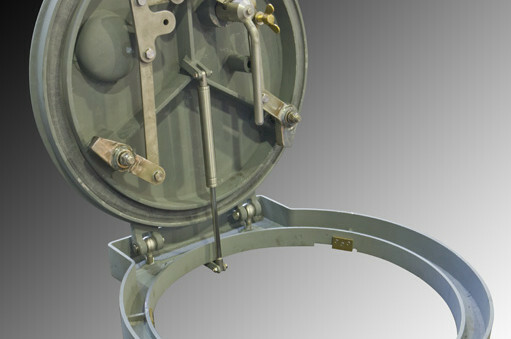 It is supplied as a completely finished and tested hatch; ready to weld in. 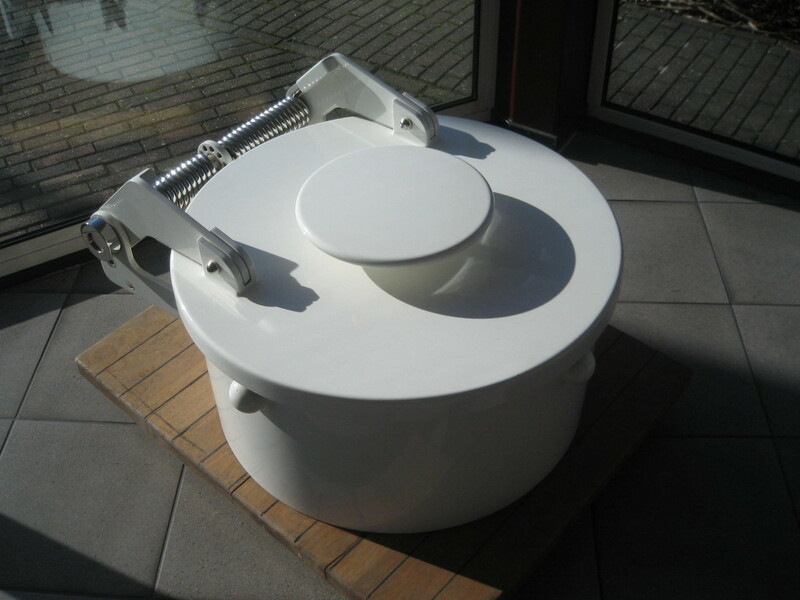 It is equipped with the well-known Winel Musketeer closing mechanism. 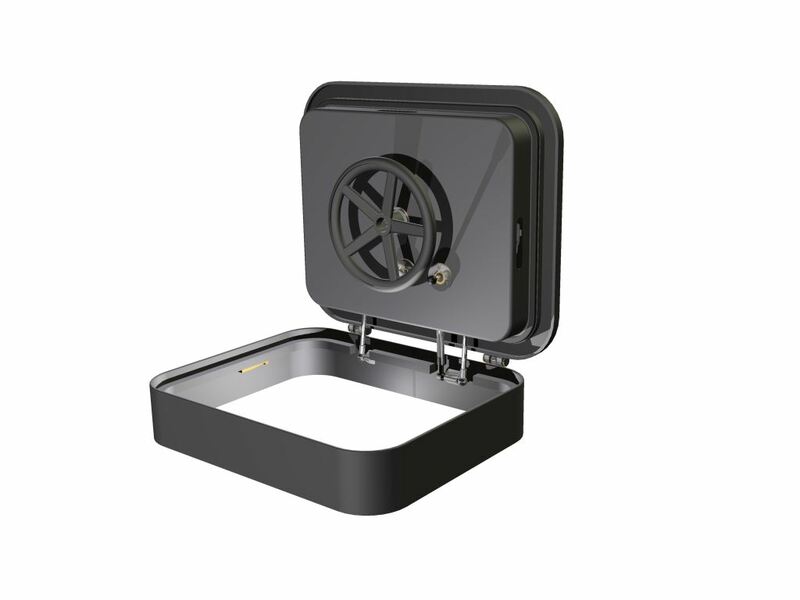 The design and manufacture of the hatches are in full compliance with the class regulations regarding hatches and can be individual approved by all major classification societies. Which rules and regulations are applicable depends on the type of vessel, classification society and the position on the ship. We assume that the approved door & hatch plan covers the approval to place this door on that specific position. 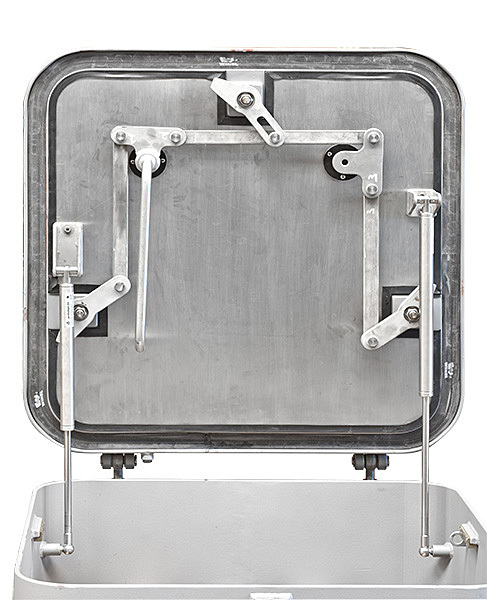 The weathertight hatch is provided with the R=100 corner, Winel musketeer system.The two hinges are adjustable in height. Adjusting can be done with standard tools. The hinge bracket and foundation is made of stainless steel. The hinge points have a fixed turning point. 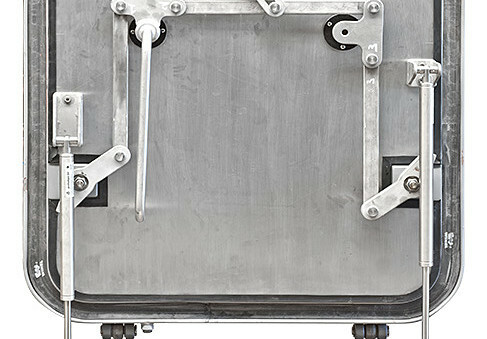 In case of rectangular clear opening the hinge side needs to be specified. 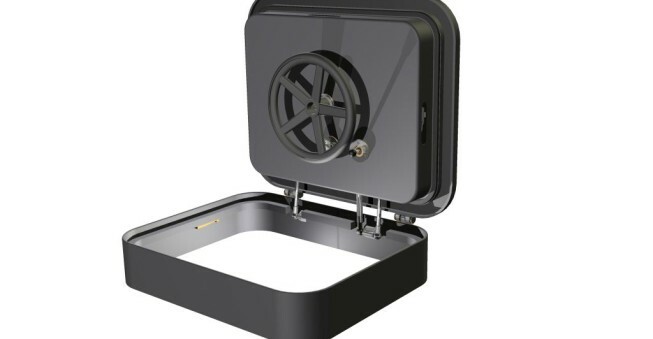 The Forepeak yacht hatch is a watertight (8mm) or a weathertight hatch (6 mm), which is compliant to yacht standards without compromising the functionality of the hatch. 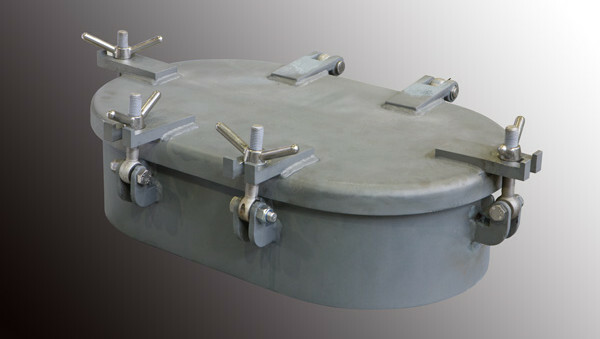 It is supplied as a completely finished and tested hatch, ready to weld in. All visible stainless steel parts are high gloss polished. As Winel is a well-known player in the mega yacht building our standard line of hatches has been upgraded to a yacht building execution. Visible stainless steel parts high gloss polished. Invisible hinges and invisible gas springs. Operation by high gloss polished hand wheels, lever or painted massive disk. Steel manhole cover, shot blasted Steel manhole cover, shot blasted and primed, with neoprene seal, and primed, with neoprene seal. Galvanized steel bolts (20 pcs). Round model: Clear opening: 470 and 570 mm. 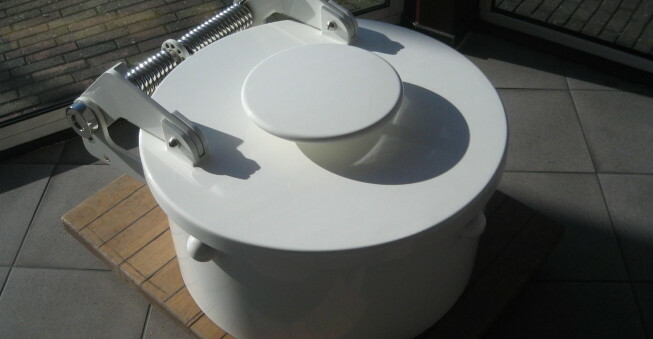 Oval model: Clear opening: 400×600 or 420×620 mm. 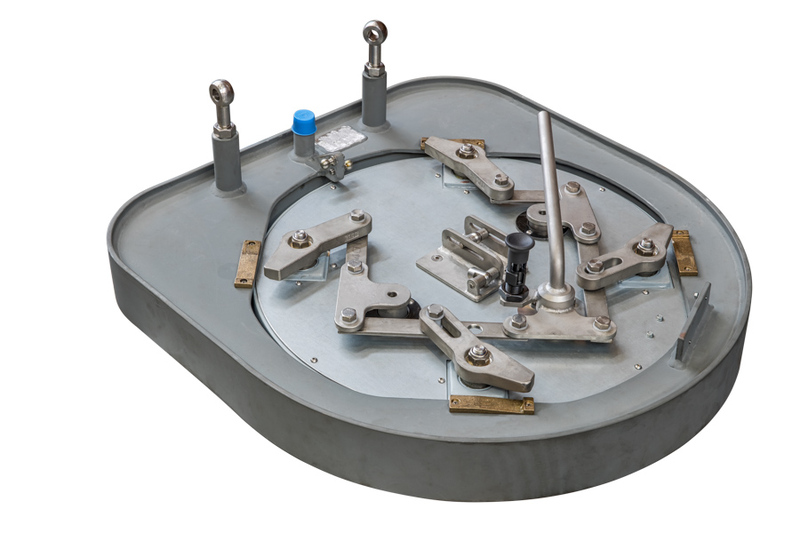 Round model: central closing device by means of T-key.